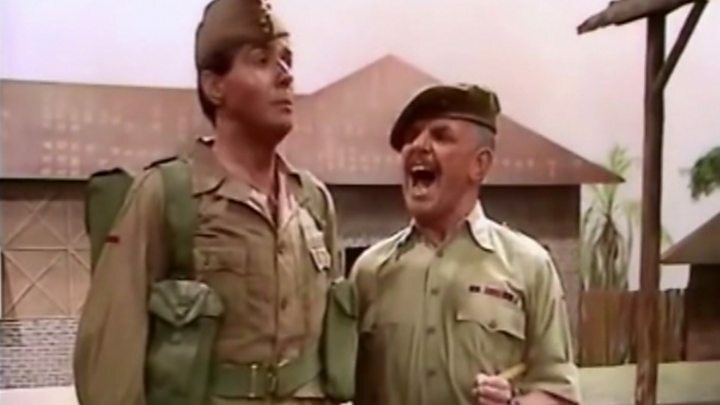 It Ain’t Half Hot Mum co-star Melvyn Hayes, who played Gunner/Bombardier Gloria Beaumont, called him “one of the good guys”. Paying tribute to Davies, he said: “I considered him my best friend, even though we hadn’t been in contact for many years. Blackadder star Sir Tony Robinson paid tribute to Davies by quoting lyrics from Whispering Grass, while Downton Abbey actor Paul Putner said he was a “gifted actor” and “one of most generous, lovely blokes you could ever wish to meet”. ‘Allo ‘Allo and Emmerdale star Vicki Michelle shared a picture of herself with Davies and tweeted he was one of her “favourite people”, and a “genuinely lovely generous man” with a “huge presence and a huge heart”. In 1978, Davies also featured in one-off BBC drama Grand Slam, which gained cult status and was still fondly remembered years later – gaining a new lease of life with a DVD release.